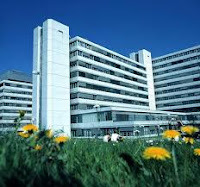 The CLIB-Graduate Cluster Industrial Biotechnology offers 6 PhD scholarships starting in the autumn 2011 semester. This is a structured doctoral programme of Bielefeld University, the TU Dortmund University and the University of Duesseldorf. All three universities are located in NRW, the most populous state of Germany with an excellent research and industrial infrastructure. Doctoral candidates will join top research labs working both on applied and basic research, take part in key qualification courses and yearly retreats, and are encouraged to join a company for a 3-month industrial internship. They will receive a tax-free stipend of 1500 EUR per month for 36 months. We invite excellent graduates with a M.Sc./M.A. or Diploma in relevant disciplines, who receive their degree before September 2011, to apply. Applications need to be submitted via our online system. The application deadline is 06 May 2011. Projects start 01 October 2011. Please see our Official Website. for further details and application instructions. A hardware-accelerated machine learning approach for rapid signature mapping and taxonomic assignment of short Illumina sequence reads. Bioinformatics tools for high-throughput RNA-Seq data analysis. Design of a bioinformatics platform for exploratory data analysis and visual data mining in taxonomic profiles deduced from metagenome sequence data. Demikianlah informasi mengenai Phd Scholarships at CLIB-Graduate Cluster Industrial Biotechnology semoga berguna bagi anda.